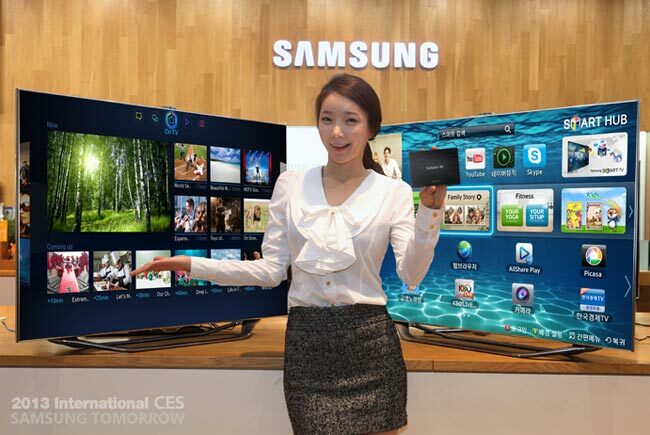 Samsung has announced that it will launch a new Evolution Kit for its existing smart TVs at this years CES, the kit is designed to bring all of the features of Samsung’s new Smart TVs to existing 2012 models. With hardware enhancements, such as CPU, memory and GPU up to the level of the latest Smart TV, users can enjoy faster speeds for browsing the Internet and multitask by using apps while watching TV. In addition, Samsung’s Smart Interaction features such as voice control and motion control will be enhanced. Once the Evolution Kit is attached to the slot, 2012 Smart Hub is transformed to 2013 version. Every year, consumers will now be able to enjoy the latest services with Samsung’s Smart TVs. Samsung will be showing off their new Evolution Kit at CES later this month, we should have more details about the new kit which will bring new features to existing Tvs later this month. Have a look at our handy guide which explains the difference between LCD and LED TVs.